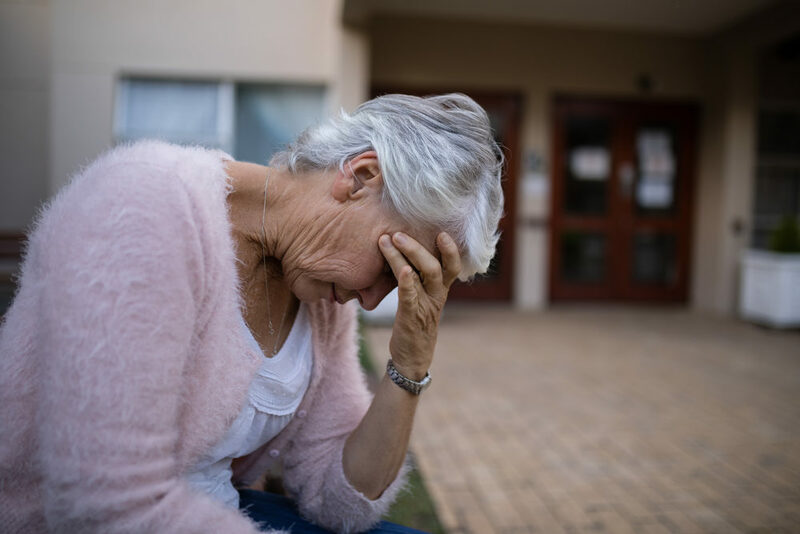 Regardless of whether an “accident” is a slip & fall, an auto accident, medical malpractice, negligent security or some other form of negligence, the harms and losses suffered by an injured person, or the survivors of a deceased victim of negligence, can be many. The most common of these “damages” are things like past and future medical expenses, lost income, lost earning capacity, pain and suffering. Yet, there is another damage, much less talked about, yet often the worst of it all. In fact, it is the driver behind many lawsuits involving negligence: the stress, anxiety and mental anguish caused by the defendant’s blatant failure or refusal to accept personal responsibility for their wrongdoing and the injuries it has caused. On your way to pick up your daughter, another driver runs a red light and crashes into your driver’s side door. You suffer a severe neck injury and a fractured hip. The other driver, in a simple act of what can only be called cowardice, blames you, and — despite the three independent witnesses that say that you had a green light — claims that they had the green light. You are unable to work, and unfortunately, you do not have any disability insurance, and you burn through your PTO/Sick Leave quickly. You do have health insurance, but you can’t pay your deductible and now you are out of work for 6-9 months. This adds an enormous amount of stress and anxiety to your life. You can’t meet your mortgage. You rack up your credit cards and start borrowing money from family and friends. After months of this, your personal relationships start to collapse. You can’t afford to do anything any more, and your social life comes to a screeching halt. You become incredibly depressed. The concept of Personal Responsibility is not a new one; in fact, Personal Responsibility is one of the main tenets of this great nation. While its broader definition has great guidelines, in the context of personal injury, it can be summed up like this: taking ownership of your behavior and the consequences of that behavior. People who do this tend to have a lot more self-respect as well as the respect of others. It’s a simple concept: when you do something wrong, own it. When a defendant causes an injury to a person, but refuses to accept personal responsibility for their actions, it introduces an element of uncertainty into the life of the injured person that compounds the harms and losses they are already suffering. Many times the underlying damages in a case, while significant, pale in comparison to the harm of the upheaval caused by the defendant’s failure to accept Personal Responsibility. Many cases could be resolved quickly and painlessly if the defendant would own their actions. Instead, they defend the case, blame the Plaintiff, and ignore their role in causing the harms and losses suffered by the Plaintiff, thus adding insult to injury. Our great country has always valued Personal Responsibility. Somehow cowardice is slowly taking it’s place. Where did we go wrong? We need to change the tenor of personal injury and wrongful death claims so that the injured suffer less and the wrongdoer helps in the recovery instead of hindering it. Where can we begin this change? With each of us. With you. We all make mistakes. If you make one and find yourself at fault in an accident that results in injury to another person, the best thing you can do is to step up and own it. Say you are sorry. Offer to help the person you have hurt. It may keep you out of a lawsuit, but much more importantly: it will help you keep your self-respect, because it is the right thing to do.